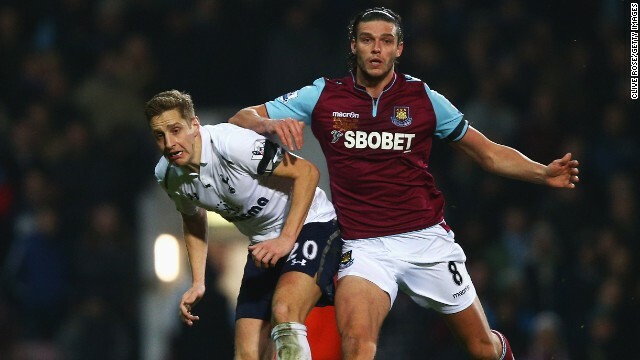 Fans using the word "yid" at Sunday's Premier League game between Tottenham and West Ham could be arrested. The Football Association had warned fans they face prosecution for uttering "yid"
(CNN) -- Mind your language or face arrest. That is the warning from London police to fans thinking of using the word "yid" at Sunday's potentially explosive Premier League derby game between Tottenham and West Ham. England's Football Association recently said the word -- deemed anti-Semitic but chanted by some Spurs fans as a term of endearment -- had "no place in our game." Tottenham, based in North London, has a large contingent of Jewish fans, with some even calling themselves the "Yid Army." "Some words -- like the 'Y' word -- which historically have been perceived by some as acceptable, cause harassment, alarm or distress to others, and people who use this language could be committing a criminal offense," the Metropolitan Police said in a statement on its website. Chief Superintendent Mick Johnson, Sunday's match commander, added that the decision wasn't taken lightly. "This topic has been debated at length but our position is clear, racism and offensive language have no place in football or indeed in society," Johnson said. "Those supporters who engage in such behavior should be under no illusion that they may be committing an offense and may be liable to a warning or be arrested. "The Met has a long history of working with football clubs and the football authorities, including the FA, to educate, encourage and empower supporters to stamp out racism in football and to ensure that there is no misunderstanding about what constitutes racist language or behavior." A West Ham season-ticket holder was later banned for life for performing a Nazi style salute. It prompted then Hammers midfielder Yossi Benayoun, an Israeli international, to call the behavior "embarrassing." Tottenham sits third in the Premier League, two points behind leader and North London rival Arsenal, while goal-shy West Ham is a point above the relegation zone.